U.S. China climate agreement: China more likely to meet its targets. Both of these leaders want to cut emissions, but one has a lot more power to do it. A defining feature of the landmark climate agreement announced by the United States and China on Wednesday is its asymmetry. The United States must reduce its carbon emissions substantially by 2025; China’s can keep growing until 2030. There’s a good reason for that imbalance. The United States has polluted far more than China, historically, and by now its economy is fully mature. In fact, U.S. emissions are already trending downward despite a slight bump last year. The question now is, how far down can they go? China, in contrast, is in a much earlier stage of economic development, and its emissions have been rising quickly from their historically low per capita levels. But they’re still far lower than those of the United States—again, on a per capita basis, which is the only fair way to calculate them. China also remains much poorer than the U.S. and faces soaring energy demand for decades to come. So for China, reining in its emissions growth is a challenge comparable to reducing emissions for the United States. China’s question is not how far down its emissions can go, but how far up they will go before they finally start to go down. The real asymmetry in the deal, then, is not about which side’s targets are harder. It’s about which side is more likely to meet those targets. And the answer to that is almost certainly the opposite of what Republican leaders were quick to assume. Spoiler: It’s China. This isn’t to say that China’s government is more trustworthy than ours on the whole. But there are three good reasons why China is a better bet than the United States to hold up its end of this particular bargain. 1. China’s government has more power to implement its agreements. President Obama has taken some big steps that are likely to significantly cut U.S. emissions, most notably passing new EPA restrictions on coal-fired power plants. But those alone will not be enough to reduce emissions to the agreed-upon target of 26 percent below 2005 levels in the next 10 years. Further action will require acts of Congress, whose Republican leaders are already pledging to fight Obama every step of the way. Even the rules Obama has already enacted could be undermined by future legislative or executive actions, especially if a Republican takes the White House—which is highly likely to happen at some point between now and 2025. Remember, the Clinton administration had signed an even bigger climate agreement, the Kyoto Protocol, before George W. Bush unilaterally scuttled it shortly after taking office. China’s national government does not wield the absolute power that Westerners sometimes attribute to it. But it does have much freer rein to implement sweeping policy changes than does the U.S. government, because there is no opposition party to block its initiatives. Whereas Obama is making an agreement that will be left largely to his successors to uphold, China’s Communist Party expects to remain in power for the duration of the deal. 2. China’s government has greater incentives to implement its agreements. Noxious air polllution in cities like Harbin gives China an incentive to clean up its act. China’s government knows it will have no such excuses handy if it fails to live up to its word. The Communist Party would bear the full brunt of the embarrassment. And so it would be unlikely to take on this sort of voluntary commitment if it weren’t highly confident that the targets were attainable. Besides, as my colleague Joshua Keating points out, China already had ample incentive to take serious action on its carbon emissions. It has invested heavily in renewable energy technology, becoming the world’s largest supplier of solar panels. More importantly, the pollution from coal power plants in the country’s major cities has become unbearable at times, creating domestic political pressure to shift to cleaner technologies. 3. China may already be on track to meet its targets. 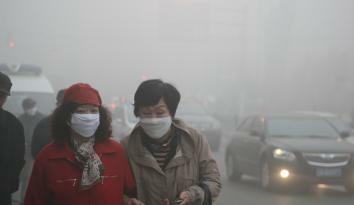 As noted above, China is already moving aggressively to curb its carbon-spewing ways. In addition to its renewable energy investments, it has announced plans for the world’s largest carbon-trading market, scheduled to start in 2016. But it might not even take a big policy shift in order for the country to meet the targets it agreed to on Wednesday. Thanks to broader development trends, like a projected slowing of population growth and urbanization, some analysts were already forecasting that China’s emissions would peak by 2030. In fact, my colleague Jordan Weissmann notes that the country’s coal consumption actually decreased in 2013 even as its economy continued to grow. There is some ground for skepticism about the accuracy of the country’s carbon accounting, but there’s little doubt that China’s government is sincere in its desire to clean up its act. It sees cleaner air as conducive to its long-term economic rise, rather than at odds with it. For all of these reasons, the smart money is on China to make good on its promises. The United States is a much shakier bet, especially since Republicans are already laying the groundwork to sabotage our end of the deal. Their excuse for opposing the agreement is sadly ironic: China, they insist, can’t be trusted. The U.S.-China Deal Won’t Stop Climate Change. But It’s Exactly What We Need. 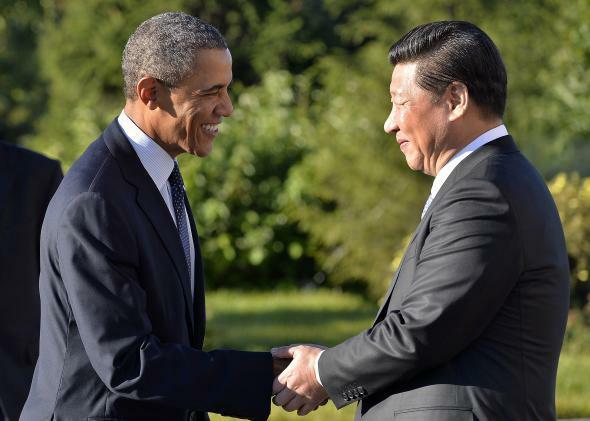 China and the U.S. Just Struck a Historic Climate Deal. So Why Are Coal Stocks Rising?